If you are planning a party and you live close to Killenard village, the killenard community center is the right place to do it, but of course with the entertaining provided by the best children entertainer in Ireland, the children Entertainer Jeca the clown. The hall of this place is very big and ideal to a Jeca the clown’ many games and activities and the great floor helps the kids run safety up and down without risk. The Christmas party at the Heritage hostel is a great success because many facts, the heritage hotel is an amazing hotel located here in Portlaoise town, the staff team is very polite and kind with me and that helps me as Children Entertainer Jeca the clown doing what I know to do best: A great entertaining show! It is great to see the kids excited to see Santa Claus and the clown here, Jeca the clown. This is another great corporate event that Jeca the clown loves to do every year and I look forward to came with new ideas and tricks to show again next year. I’d like to take this opportunity to thank the heritage hotel and the Laois county council for the support giving to the children’s entertainer Jeca the clown. I know that Christmas was a while ago but The children’s Entertainer Jeca the clown must write about Christmas at the laois Traincare depot. I had a lot of fun with the staff team and there families ,and the most fun of all was seeing Santa Clause arriving in the train and hearing people sing “jingle bells”. One of the funny moments that happened was at the raffle time ,when a family won five times,I even saw that the mother blushed when she heard her ticket been called out for the fifth time. 😆 That was hilarios! Once again The children’s Entertainer Jeca the clown left the gig with a lot of happy faces and funny memories. Laois Traincare Depot is next to Kylegrove and is located in Laois, Leinster, Ireland. Laois Traincare Depot has a length of 2.51 kilometres. What a great experience the children Entertainer Jeca the clown had at the Tullamore Central Library at Tullamore, Co. Offaly. The Tullamore Central Library did an excellent job in promoting Jeca the clown’ show and the result you can see in one of the photos above, the place was completely packed and full of expectation for the show. The parents did a great job not just bringing the kids, but interacting together during the show and I have a real appreciation for all staff members of the library too that did an excellent job before and during the show too. So, many thx for the Offaly County for this great invitation and I look forward to hearing from you all again soon, Jeca the clown is always ready for a great and fun show. Yes, I made her smile. Jeca the clown is back in 2016. 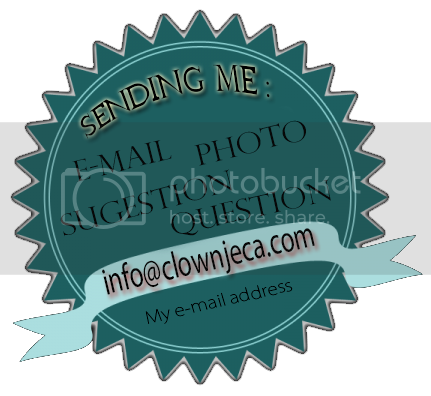 The children entertainer Jeca the clown is back in 2016, so get booking now your party, event or wedding entertainer to avoid disappointment. Let’s do it! I, Jeca the clown wish to everyone that supported me this years a happy new year and a lot happy memories! If you think about sport you must think about the children Entertainer Jeca the clown. How come? The children Entertainer Jeca the clown is energy, happiness and a lot of fun and this time Jeca the clown was at the O’Dempsey’s GAA Club in county Laois for three parties in one. One of the birthday girls invited me to her previous party, but this time was a lot of extra fun with new tricks, games and two best friends having their birthday celebration together. Yep, once again a huge hall with a lot of kids and a LOT OF FUN with the children entertainer most wanted in Ireland, the children entertainer Jeca the clown. At our 2014 Consensus Conference the delegates voted on the most relevant issues they wanted Youth Work Ireland to focus on in 2015, the issue chosen being Young People’s Participation in Decision Making. This issue will be the focus of the 2015 Consensus Conference and will be an opportunity for delegates to hear from young people, practitioners, volunteers, experts and policy makers, to learn and to share good practice. The National consensus conference, which took place on Saturday 3rd October in Dublin Castle was one of my best gigs of 2105, It was a pleasure to me as a the entertainer Jeca the clown been part of a such great event like this one, myself with my wife are youth leaders of a local group and I was very happy to see youth all around Ireland arriving at the Dublin Castle that morning.